LET US TELL YOU A LITTLE MORE ABOUT OUR AERATION & OVER-SEEDING SERVICES! Your lawn needs some love, so why not give it what it needs? With the soil aeration from Green Turf, you can do exactly that for your lawn. Our aeration service will ensure that your lawn will be the envy of the neighborhood because of its health and perfection. Aeration is one of the most effective and practical services available for your beautiful lawn. Aeration helps control thatch, improve soil structure, helps create growth pockets for new roots, and opens the pathway for fertilizer and water to spread to the root zone of your lawn. Annual or semiannual aeration is recommended for all lawns, especially those with thatch buildup. It’s also recommended for any lawn that needs to be thickening as well. Aeration holes also divert tension from compacted soils, letting oxygen and rainwater move more freely into the root zone. Upon inquiry, Green Turf can render marking flags for you to mark irrigation heads, cables, etc. in turf area. Over-seeding your lawn is vital for a thick, healthy, and weed free lawn. Three to five pounds of premium grass seed will be applied per. 1,000 sq. ft. Over-seeding your lawn helps to reduce summer-time, weeds and weed grasses, and oftentimes eliminates this threat from your yard. 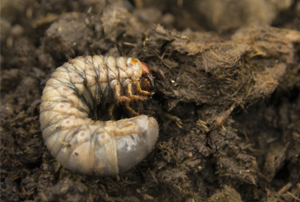 Why Choose Our Soil Aeration? When you’re looking to get rejuvenate your lawn or you’re wanting to maintain the good health it already has, work with the professionals at Green Turf. Our expertise and training will ensure that you’ll get the beautiful lawn you’re looking for. Give us a call today and find out why we’re Macungie’s Top Rated Local® lawn care service and soil aeration. A barefoot-worthy lawn doesn’t just appear overnight in the spring and summer months, this is lawn care that takes work, season-by-season, all year long. The best methods to get an outdoor space you can boast about is through overseeding aeration. We touched on both of these services above, but we’ll examine each a little more closely here. A lawn treatment requires more than water, sunshine, and the occasional mow — for a healthy and vibrant lawn in the spring and summer, lawn aeration may be required. Below are a couple of instances when aeration supports the health of your grass. The lawn is more than just for aesthetics. If you have kids and it functions as a playground or you have pets that love to run laps chasing squirrels, you can benefit from aeration. This lawn care service is recommended for yards with heavy use to better prevent soil compaction. The lawn is new. Perhaps you live in a brand new home complete with a brand new yard. It’s important to aerate the lawn to revitalize the soil. Oftentimes the soil in new construction is stripped or beaten down by the comings and goings of construction traffic. Your lawn has a thatch issue. If you’re lawn constantly looks and feel dehydrated, the thatch may be overgrown. In this instance, extensive aeration is recommended. Your lawn is from sod. Sod produces soil layering that creates a finer texture over coarser soil. The concern with this is the drainage is disrupted and results in compacted soil and shallow root development. Lawn aeration is vital to the health of your lawn, so help your lawn breathe a little lighter today! Many homeowners overlook the importance of reseeding to a beautiful, lush lawn in the spring and summer months. Sure, aeration is needed to revitalize your lawn, but is reseeding really needed? 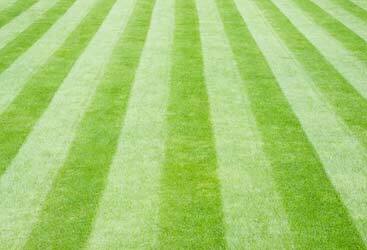 Yes, overseeding is a proactive lawn treatment that improves your results. Whether you have mature grass or are trying to establish a thick, verdant lawn, reseeding can work to your benefit. As grass begins to mature, it thins, and the one natural way to combat this is through reseeding. Restore vigor and youth with reseeding! While the reseeding essentials are the same across the board, it will vary in each region how and when your local lawn care company will recommend it. Leave your neighbors green with envy when you partner with us for our overseeding (overseeding) and aeration lawn care treatments. We service the following communities including Allentown, Bethlehem, Breinigsville, Emmaus, Macungie, and Whitehall. 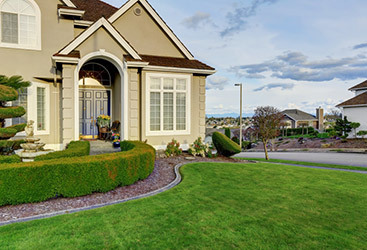 Connect with us today for our premier lawn care services today!